It’s likely that many gamers are looking forward to Middle-earth: Shadow of War, especially those who enjoyed the earlier Middle-earth: Shadow of Mordor. This was undoubtedly one of 2014’s best games, thanks to its brutal and bloody combat, good number of missions and large open world. And the upcoming Shadow of War promises to expand on everything that made the original game so compelling, including its much vaunted Nemesis system, which made fighting the orcs way more engaging and interesting during the game. The game’s latest trailer, however, focuses on the game’s open world, which looks like it will be larger and more detailed than that seen in Shadow of Mordor. Seen in the trailer are the fortresses, forests, ruins and encampments you’ll be able to visit while waging war on Sauron, and also the plethora of enemies you will be able to engage in combat with during your adventures in Mordor. 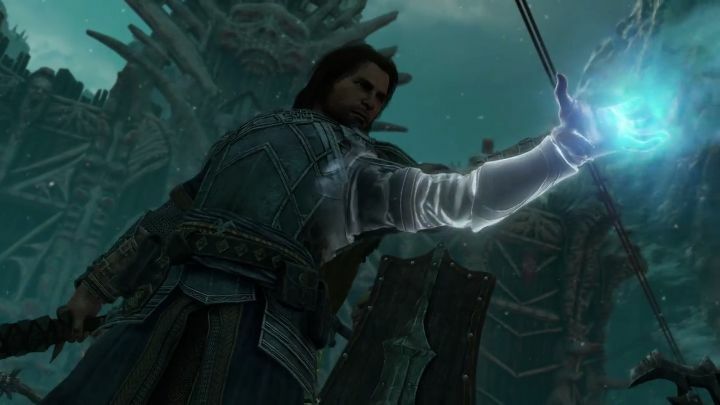 Although personally I would like it if this Shadow of Mordor sequel had a better story than the 2014 game (which I didn’t find so engaging) and also that its open world setting wasn’t so dark and oppressing, as honestly Mordor was quite a depressing place in the original game. Although judging by this trailer, it appears the team at Monolith Productions have lightened the mood somewhat, meaning Middle-earth: Shadow of War could be a more fun game to play through than its predecessor. Additionally, this latest trailer for Shadow of War highlights some of the bonuses you’ll get for pre-ordering the game. These include a “Legendary Champions War Party” (four battle-hardened orcs who will fight at your side in your effort to conquer Mordor) and an “Exclusive Epic Sword of Dominion” with which to slice and dice enemy orcs (for more details on what’s included in the Collector’s Edition of the game see here).